Applications for The First Exposure Playtest Hall are now open! Presented by Double Exposure (organizers of DEXCON, DREAMATION, METATOPIA and the Envoy Program), who brings their unique formula of turning the focus of games around, finding eager players to try out new games! 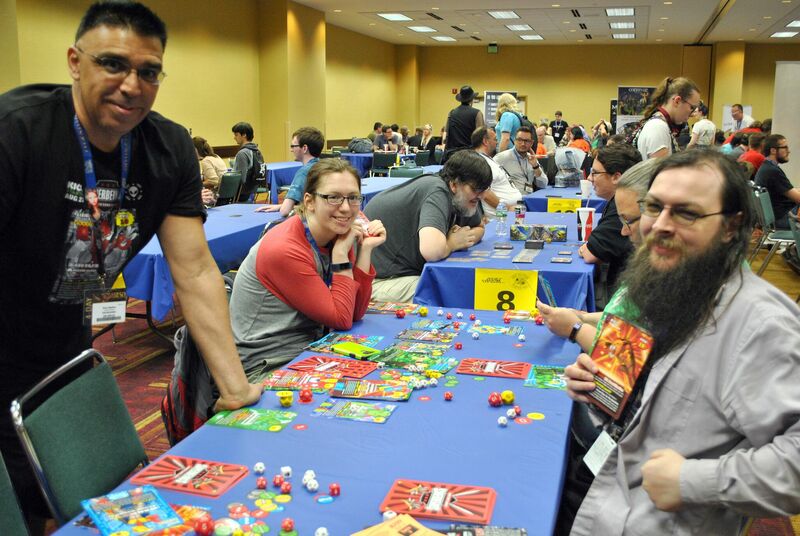 Scores of designers and publishers present their prototypes in the First Exposure Playtest Hall (FEPH) and Gen Con attendees have a chance to play them for free - the presenters pay for playtest sessions instead of the players buying tickets. For designers or publishers of a game-in-development, this is a chance to get it in front of the huge number of passionate gamers at Gen Con. Put your idea on the table and see how it survives "in the wild" and get immediate, direct feedback. If there are specific types of gamers from which feedback is requested, let FEPH staff know and they will help find them for you, to get focused, targeted feedback. For players, this is an opportunity to get a peek into the game design process, and help make the next generation of games even better - and you may even get named in the playtest credits of an upcoming release! At each session, players will have a chance to see what kind of games are available to try out, and FEPH staff will try and place players in games that match their interests whenever possible. 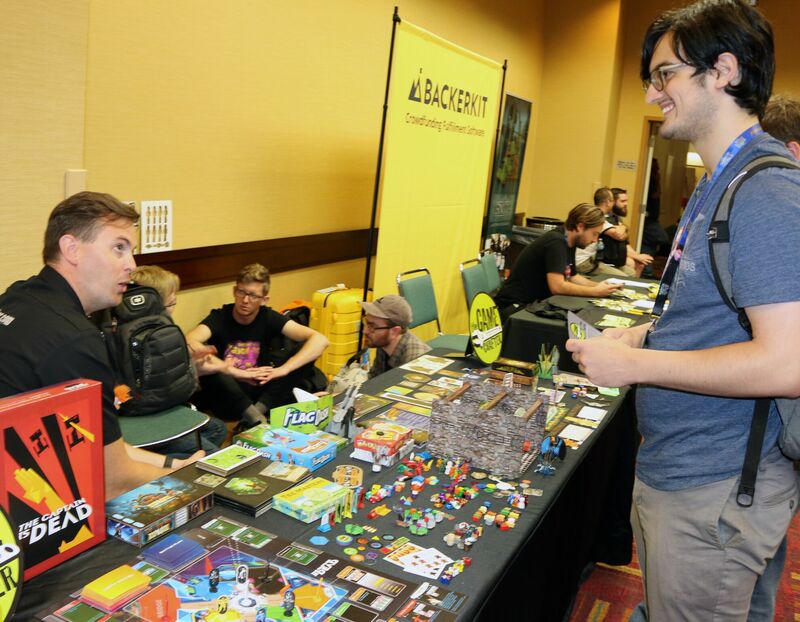 Last year at the FEPH, thousands of players connected with scores of designers and publishers. Games that were played in the FEPH last year may now be in production and being sold at Gen Con this year! Players in the FEPH could be playtesting the next great game that everyone will be talking about next year. The FEPH is scheduled in 2-hour sessions throughout the weekend, from 8 am until midnight each day (closing at 2 pm on Sunday). All manner of games are welcome, including card, board, dice, miniature, story, role-playing, etc. Players can get tickets for individual sessions just like any other event when event registration opens. However, walk up players can often be accommodated as well. For presenters, a package of four 2-hour sessions is $300 (includes 2 GM badges) and a package of eight 2-hour sessions (4 GM badges) costs $600. Applications close July 17th, or sooner if at capacity, and will not be accepted onsite. Please review the revised Policies Document, and then submit your application. If you have any questions about the FEPH, please email firstexposure@dexposure.com.